By far, Twitter’s most basic function is still its best. Twitter gives you the ability to connect with almost anyone in the world, or at least the 280 million global users. However many Australian small businesses are yet to fully utilise it’s marketing potential. And it all comes down to seeking out the right people on Twitter, at the right time. 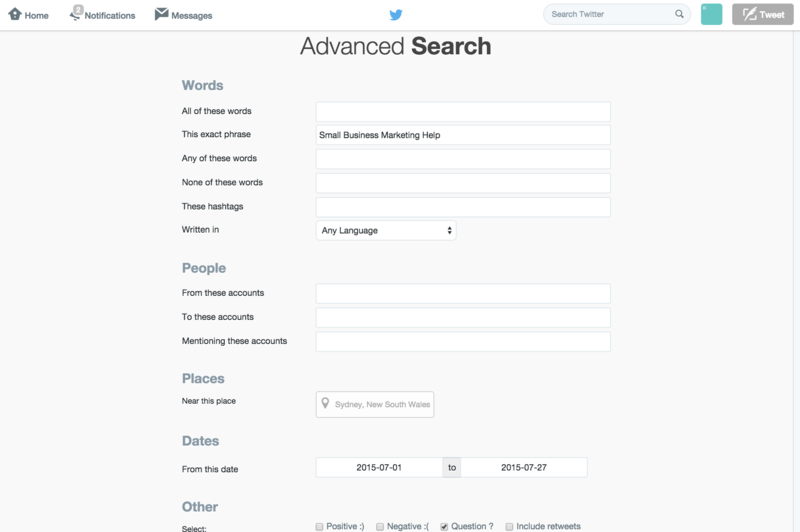 Introduce yourself to Twitter Advanced Search and find exactly what you’re looking for in search. At the top of your results page, click “more options” and then click “advanced search”. Click “search” to see your results. By combining fields in advanced search, you can tailor your search results in a powerful way. 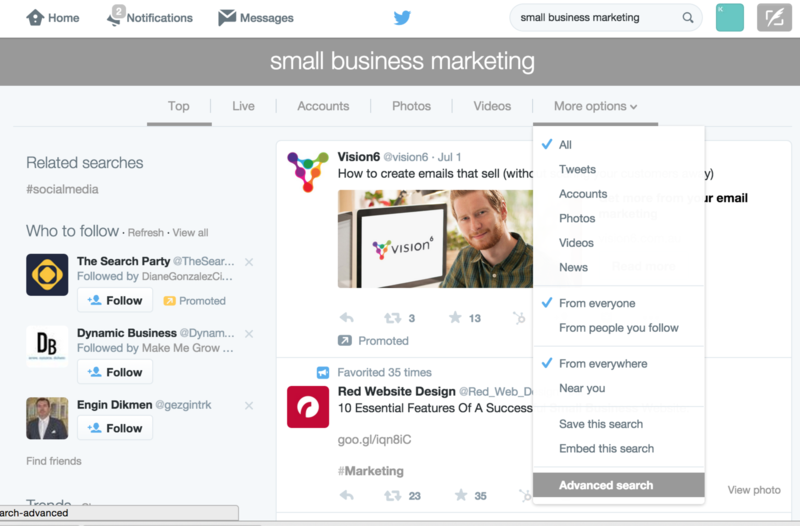 For example, you can search for Tweets containing “Small Business” but excluding “For Sale” between a certain date period. Would you like to connect with more people on Twitter?